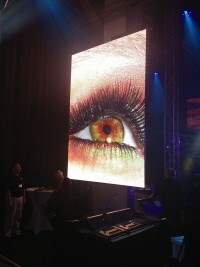 Creative Technology (CT) will be the first customer to take delivery of the exciting new 8mm Outdoor LED product launched at Pro Light and Sound by Barco's specialist LED division "LiveDots". The new 8mm product is lightweight, low profile and silent in operation due to its fan-less design. With full outdoor brightness and high contrast to ensure optimal operation in direct sunlight, the product has been specifically developed by LiveDots in consultation with CT to service the company’s growing portfolio of high profile sports events. 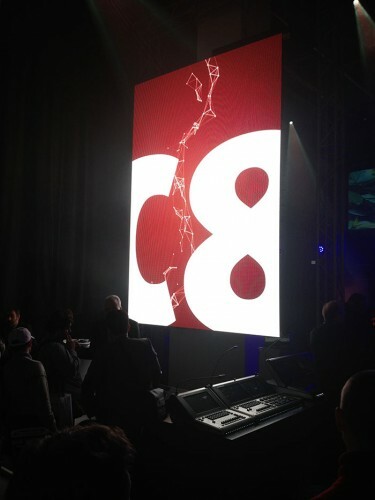 The C8 investment follows CT's successful introduction of the C5 and specially developed C16 as its mainstream indoor LED platform in early 2012. The C5 has established itself as the High Resolution product others are judged against and CT expect the C8 to be similarly successful. The new product is expected to arrive at CT in May and will immediately afterwards be in service at a number of the key sports events CT service on a regular basis throughout the summer. 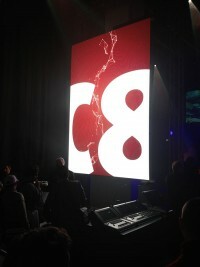 The C8 shares the same mechanical structure with other C series products meaning all supporting hardware is compatible and it runs on the renowned DX processing platform for optimal image quality. Dave Crump, CT's European CEO commented: "There are several very good lightweight LED products in the 7-10mm range that claim to be suitable for outdoor use; most will operate well on stages and in other low light locations. However, achieving the required contrast to remain clearly legible in bright sunlight, with close-up camera shots is not easy with sub 12mm resolution. This new product achieves all of these objectives, is light, silent and flexible and has been tested to withstand impact from high speed tennis balls." LiveDots’ CMO, Carl Rijsbrack added: "Barco and LiveDots have been working closely with CT for many years now. The new C8 product is a next step in the close cooperation that started with the development of the C5 and C16 tiles back in 2011. It clearly demonstrates the advantages of working with the LiveDots team. Once more, the C8 sets the example: by aligning customer feedback and product engineering capabilities, we have developed a product that perfectly fits the application and is bound to become a market standard."